The House adjourned the 2019 Legislative Session on Tuesday, April 2nd. Passed legislation is headed to the governor’s desk for his signature. Thank you for contacting me with your comments & questions throughout this process. 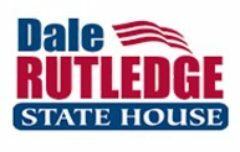 Please continue to email me at dale.rutledge@house.ga.gov with your concerns for Georgia and any further questions about legislation passed during the 2019 session. Below are the top 5 bills that passed on Day 40. 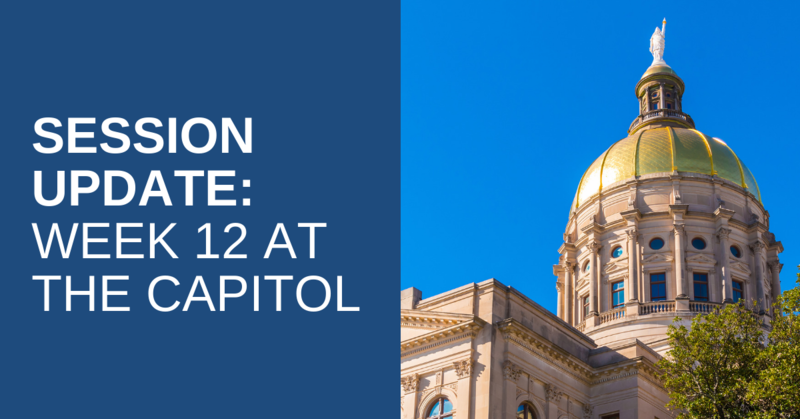 House Bill 233 – Protecting & increasing GA patients’ access to quality healthcare. Hb 233, the “Pharmacy Anti-Steering and Transparency Act,” seeks to solve problems in our health insurance system that compromise patient choice and delays care. This bill restricts pharmacies owned or affiliated with insurance companies and Pharmacy Benefit Managers (PBM’s) from poaching patient information for non-patient care purposes. This bill will also prohibit pharmacies from receiving self-dealing referrals from the PBM’s and insurers they are affiliated with. Pharmacies would be required to disclose the PBMs and insurers they are affiliated with or owned by with the Board of Pharmacy. The purpose of this bill is to increase the transparency of our pharmaceutical health care system, to hold large health insurance companies and pharmacy benefit managers accountable, and to put the focus on patients and their right to choice. Pharmacies affiliated with insurers and PBMs have controlled the market at the expense of citizens in need of immediate, quality care. HB 324, “Georgia’s Hope Act,” allows for the production, manufacturing, and dispensing of low THC Oil with a valid lawful license issued by the Low THC Oil License Oversight Board. Georgia’s Hope Act will also create the Office of Low THC Oil Control within the Department of Health. This department is allowed to issue six private production licenses for two large and four small operations that will be authorized to grow cannabis and hemp products in indoor facilities only for the production of Low THC Oil. Each production licensee must establish, utilize, and maintain a sophisticated tracking system for all phases of production to allow for real-time department access. HB 324 also provides for two university research grow licenses. HB 424 adds trafficking of persons for the labor of sexual servitude, keeping a place of prostitution, pimping, and pandering to the offenses listed in the definition of criminal gang activity. Medicaid recipients would also have the same access to antiretroviral regimens, including single-table regimens, used to treat HIV and AIDS as included in the formulary established for the Georgia AIDS Drug Assistance Program. House Bill 228 – Raising the minimum marriage age from 16 to 17. House bill 228 raises the age for marriage in Georgia to 17 and requires that any person who is 17 years old and wishes to get married to provide documentation of emancipation and undergo six hours of professional marriage counseling. In cases where the purpose of the emancipation is the marry, the court must appoint an attorney for the minor and inquire into the minor’s best interest. HB 228 also states that the senior party in the marriage must be no more than four years older than the 17-year-old younger party. Senate Bill 15 creates the “Keeping Georgia’s School’s Safe Act.” This act requires that public schools conduct site threat assessments by a certified private individual, company, or government agency. Every public school must conduct a site threat assessment before Jan. 1, 2021 and ever five years after that. SB 15 also requires all public schools to submit a school safety plan to the Georgia Board of Education after local law enforcement has approved the plan. This bill creates a School Safety Coordinator position for each school and mandates that all schools to promote a statewide mobile app called the “See Something Send Something” anonymous app to report suspicious behavior or potential safety threats. Thank you for visiting my blog to learn about what your representatives are working on for the state of Georgia. This is my last blog entry detailing passed legislation from the 2019 legislative session, but I still encourage you to reach out to me with your questions & concerns. 601-C Coverdell Legislative Office Bldg.